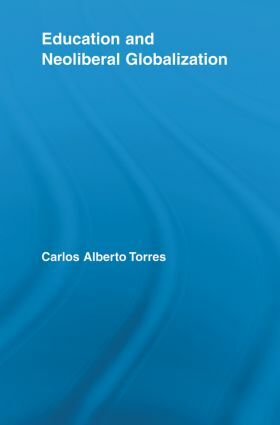 This volume by noted critical education scholar Carlos Alberto Torres takes up the question of how structural changes in schooling and the growing impacts of neoliberalism and globalization affect social change, national development, and democratic educational systems throughout the world. The first section of the book offers analytical avenues to understand and criticize the practices and policies of neoliberal states, both domestically and internationally. More than a mere lament of the state of educational policy, however, Torres also documents the critiques and alternatives developed by social movements against neoliberal governments and policies. Ultimately, his work urges readers to engage in the struggle to resist the oppressive forces of neoliberal globalization, and proactively and deliberately act in informed ways to create a better world.